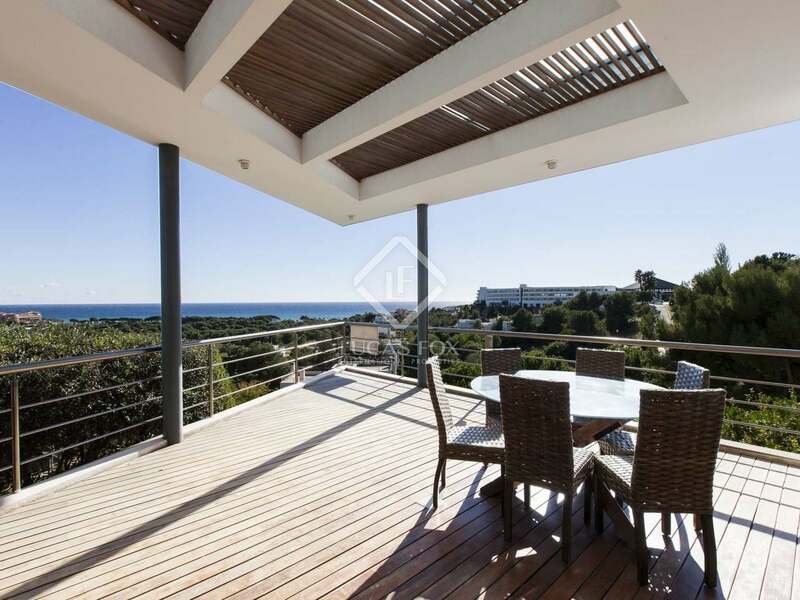 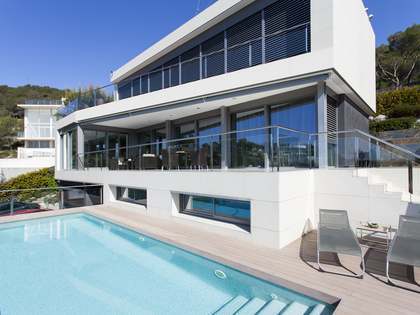 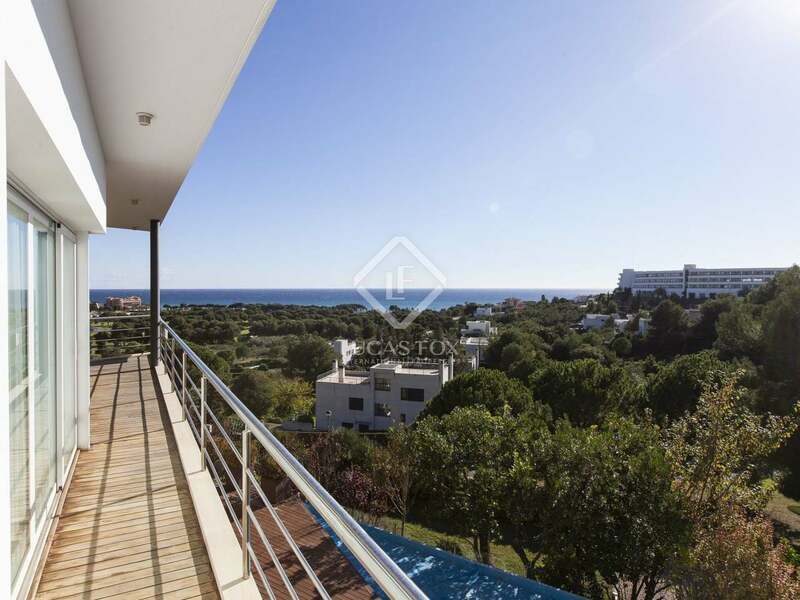 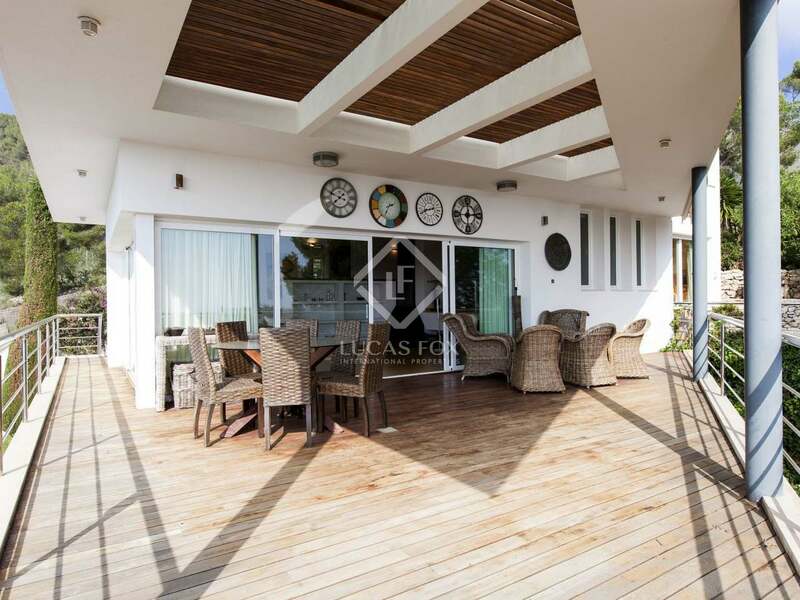 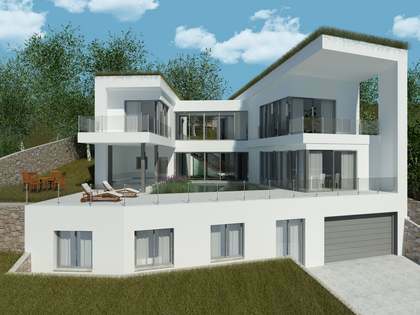 Stunning, contemporary-design detached villa with panoramic sea views and infinity pool in the sought-after Can Girona residential area of Sitges. 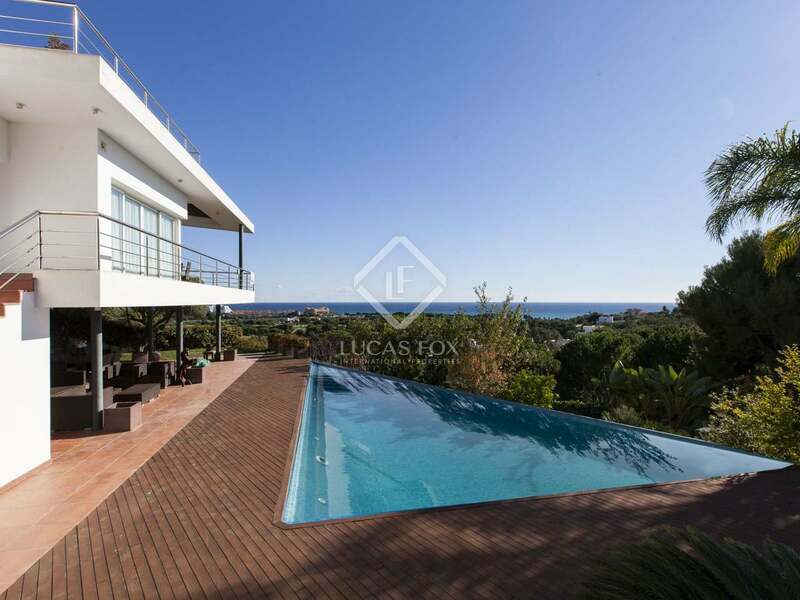 Built in 2004, offering 5 bedrooms and panoramic sea views from the incredible infinity pool, this spacious, modern villa in a quiet, gated community in Sitges would make a great home for a family, golfers or as a luxury holiday home by the coast. 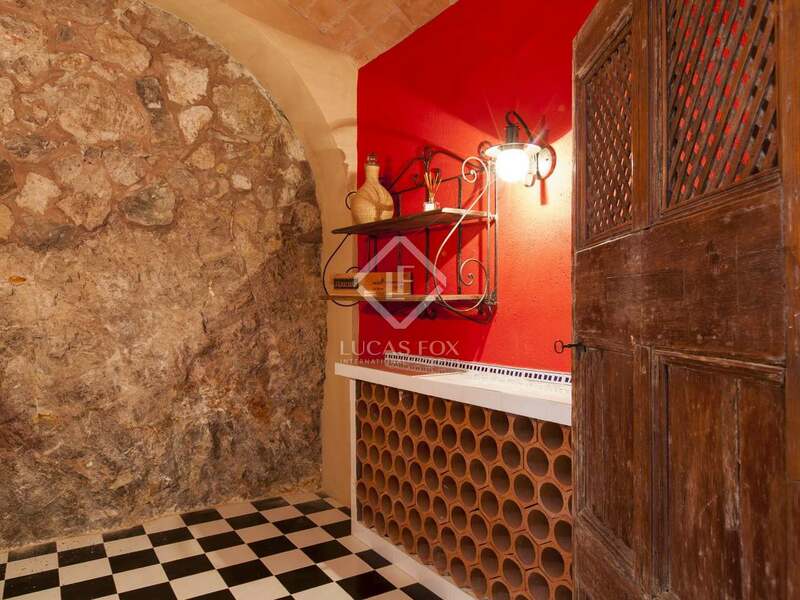 The villa is set over many levels, making for a very interesting property. The ground floor has a generous split level living and dining area opening up onto the terrace overlooking the pool and garden with incredible sea views. 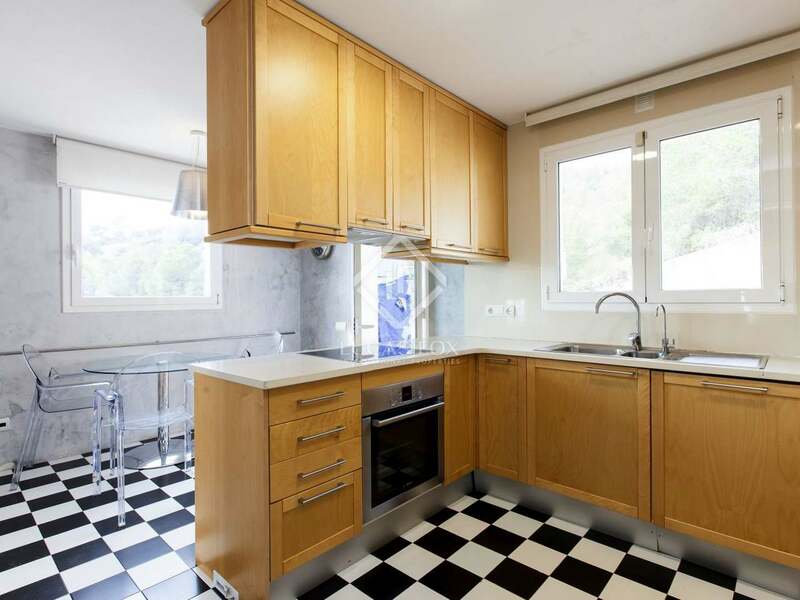 There is a good sized kitchen with utility room. 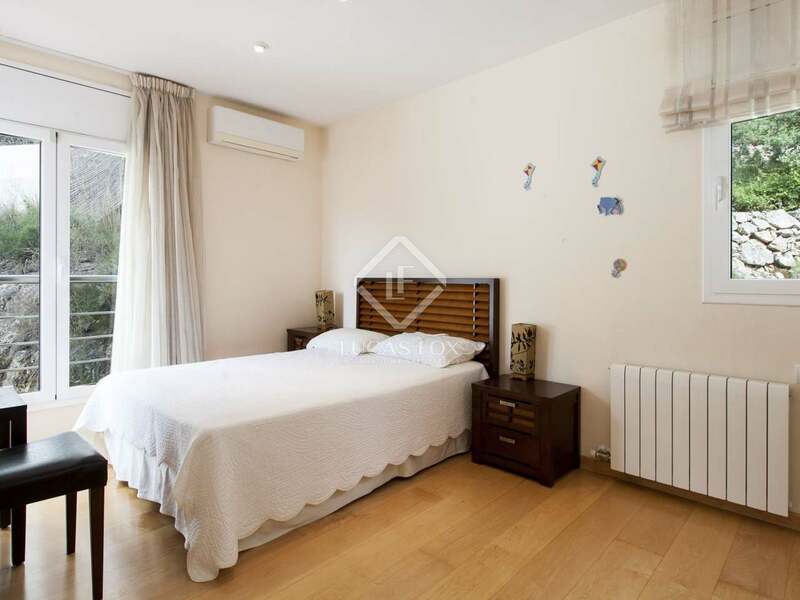 Up one level we find 2 bedrooms sharing a bathroom followed by a suite a little further up and then on to the master floor with interconnected bathroom, walk-in wardrobe, bedroom and balcony. 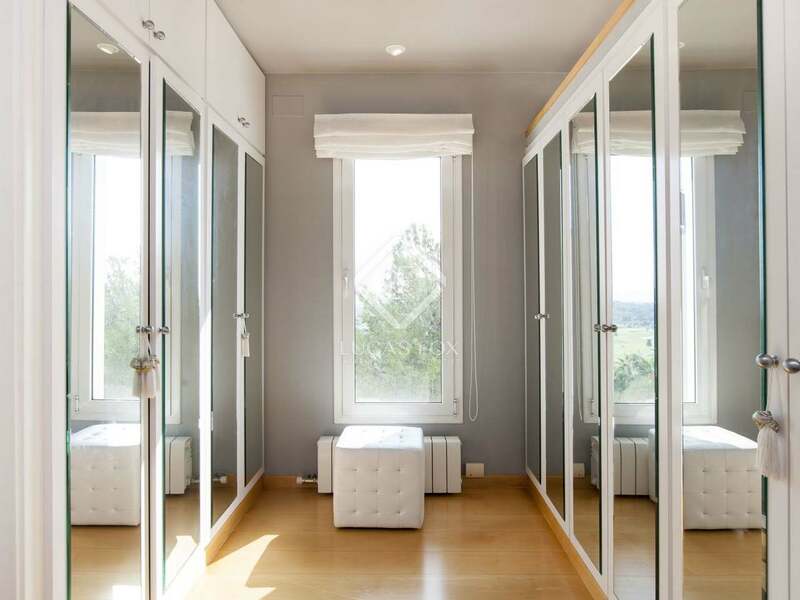 From there we go up again to an office/multipurpose space. 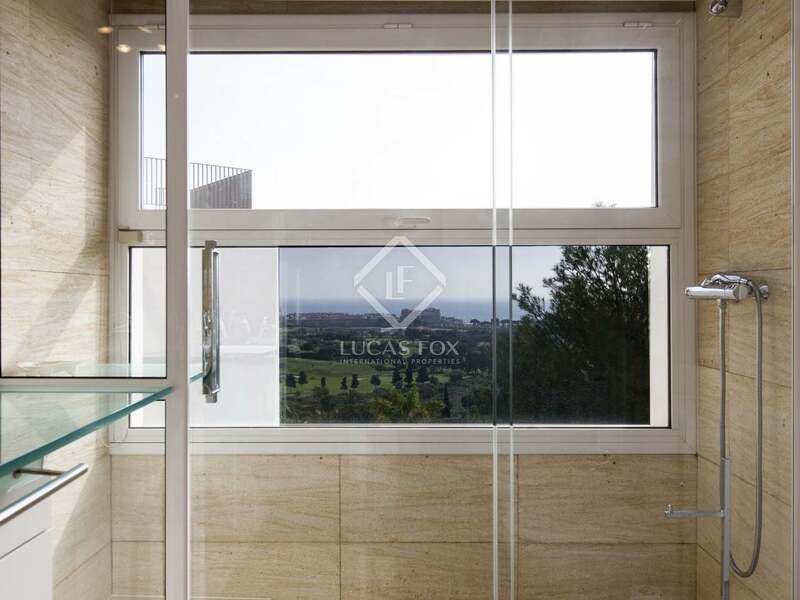 These spaces are connected with a beautifully crafted staircase. 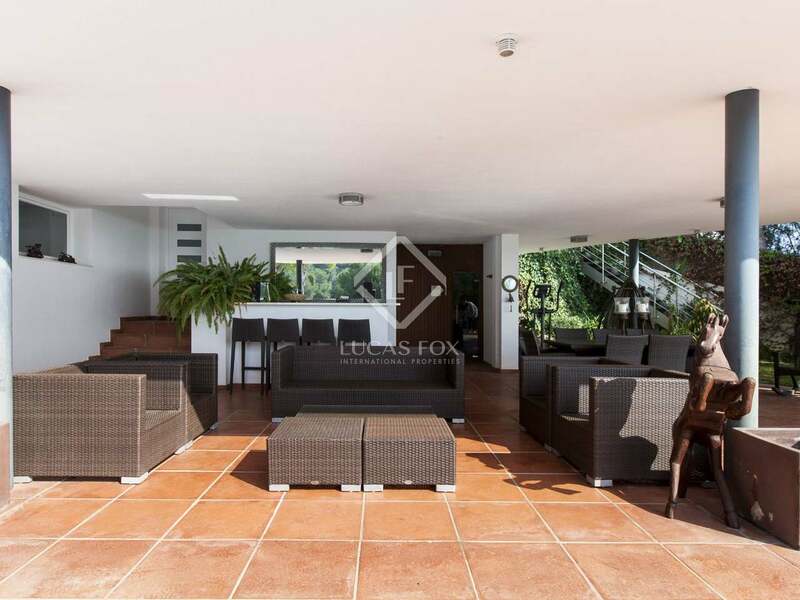 Downstairs, below the living room we have a double garage, several storage areas, staff living quarters, a wine cellar and a sauna. 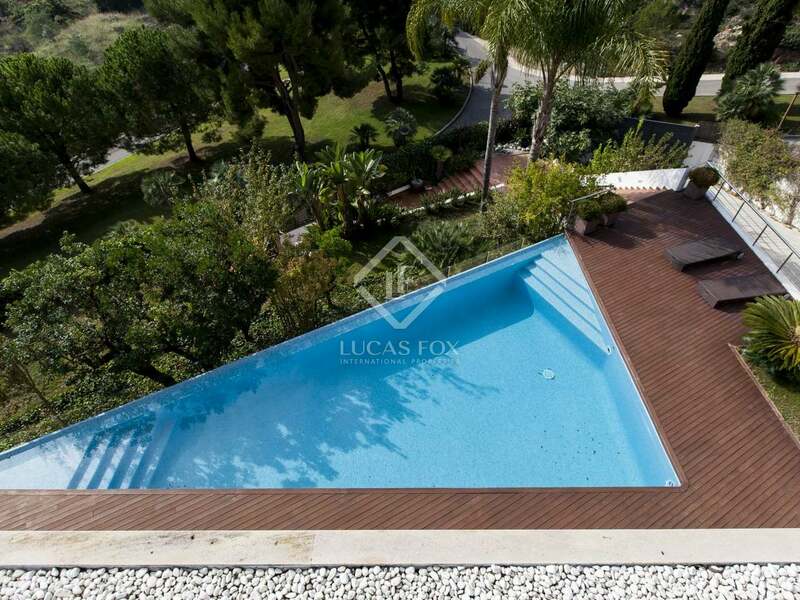 The garden features a lawn as well as extensive decking around the pool. A rare opportunity to purchase a glamorous and spacious home in the best part of Sitges with ever-increasing demand and enviable sea views. 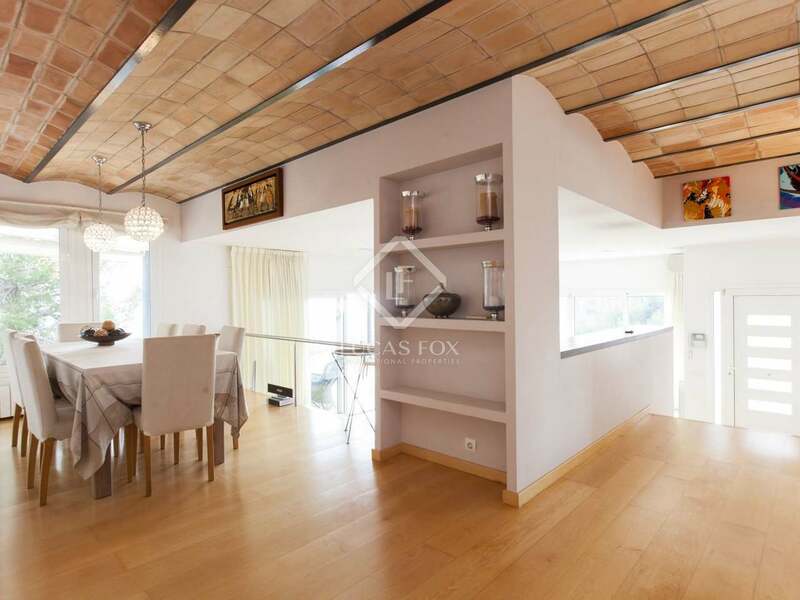 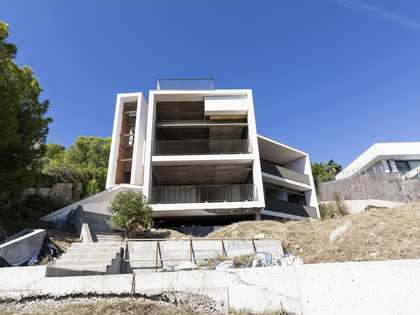 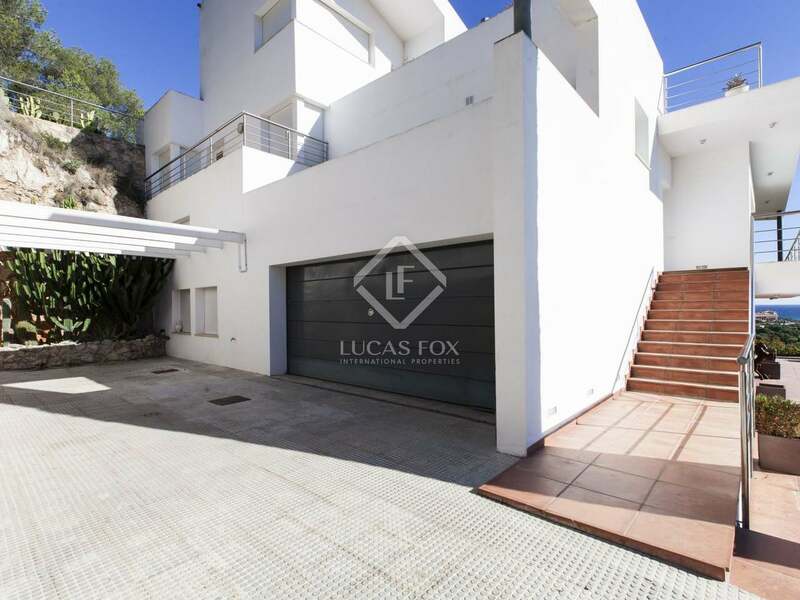 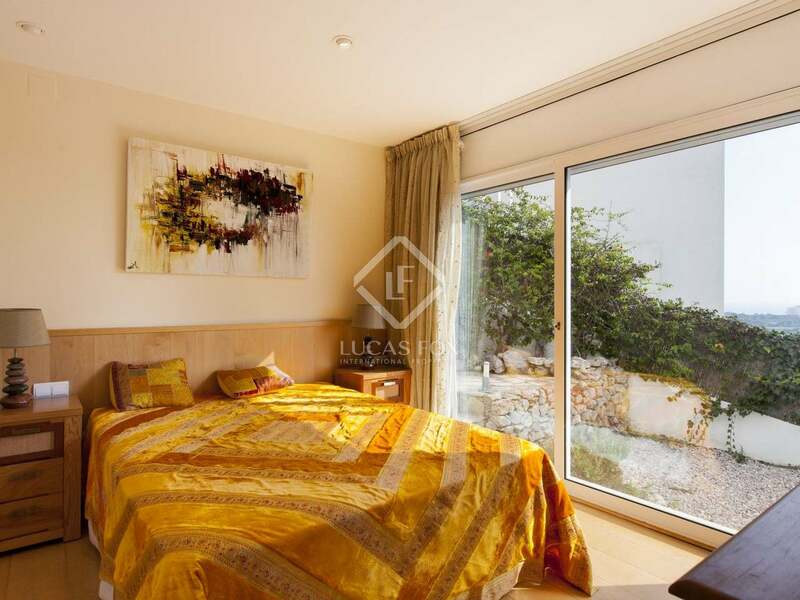 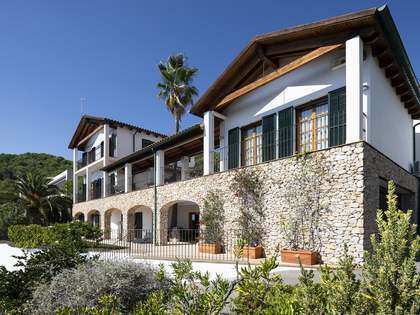 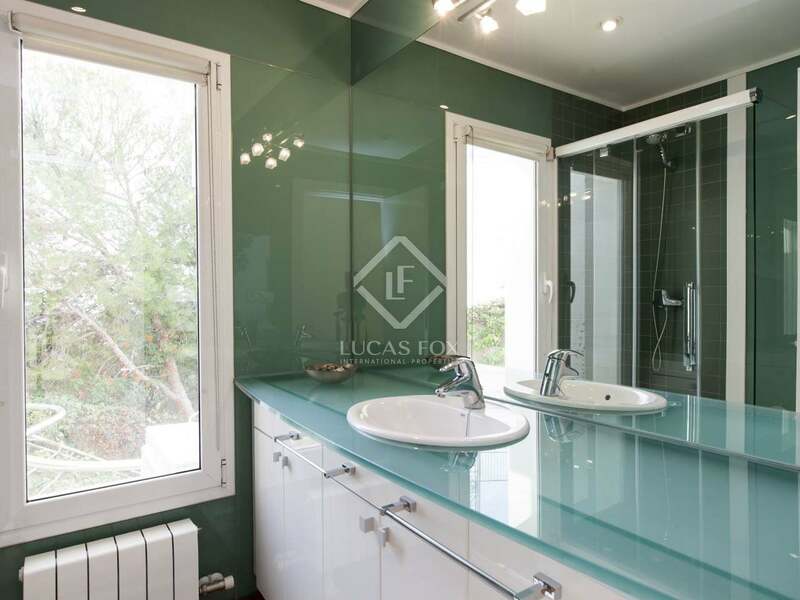 Property located in the exclusive gated community, Can Girona, a residential area of Sitges. 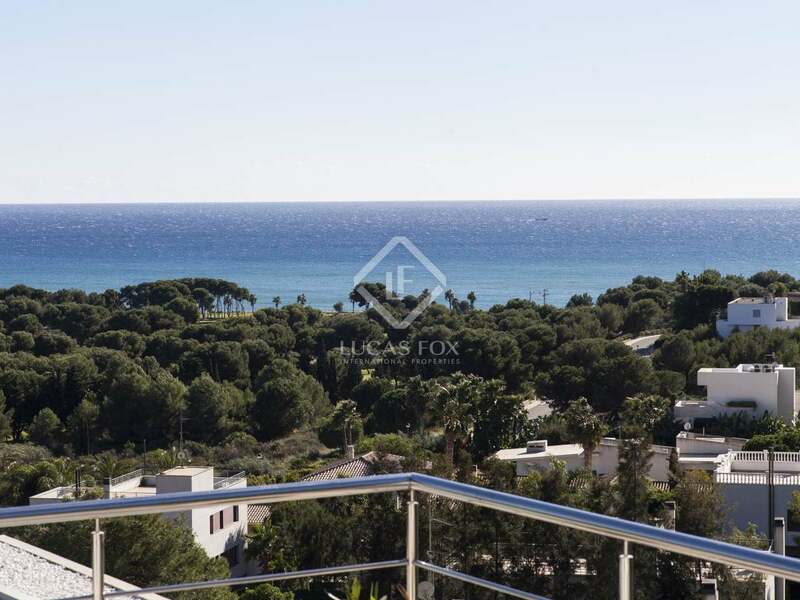 Overlooking the golf course, near the Dolce Hotel. 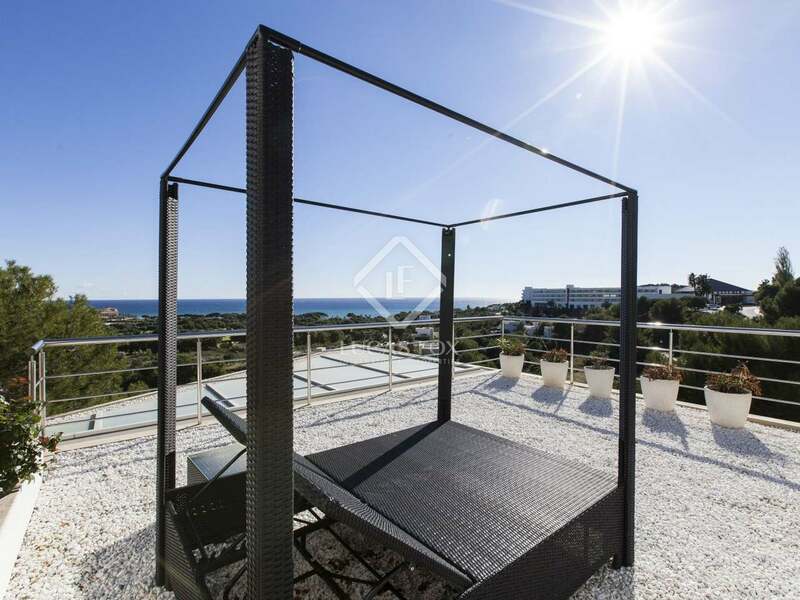 The most exclusive area of Sitges.